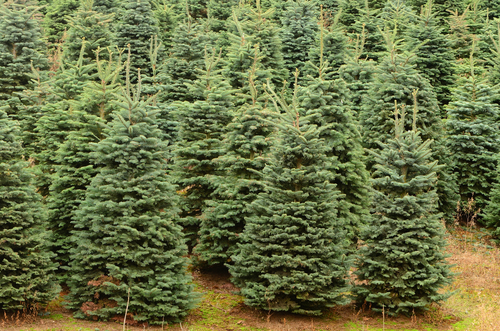 The U.S. Department of Agriculture (USDA) is seeking nominations for the Christmas Tree Promotion Board to fill six seats for members and an importer whose terms expire on Dec. 31, 2017. The 12-member board is composed of 11 producer members from three regions and one importer. Five producer members are from the Western region, four are from the Eastern region and two are from the Central growing regions. The deadline for nominations is June 1, 2017. The board will mail ballots to all eligible producers and importers of Christmas trees and submit names of the two candidates who received the most votes for each open positon to USDA. The Department will then appoint members from that pool of candidates. For more information, visit the Christmas Tree Promotion Board page on USDA’s Agricultural Marketing Service (AMS) website or contact Victoria Carpenter at (202) 720-6930, email VictoriaM.Carpenter@ams.usda.gov. Since 1966, Congress has authorized the establishment of 22 research and promotion boards that are industry-funded and empower agricultural industries with a framework to pool resources and combine efforts to develop new markets, strengthen existing markets, and conduct important research and promotion activities. The Agricultural Marketing Service provides oversight, paid for by industry assessments, which helps ensure fiscal responsibility, program efficiency and fair treatment of participating stakeholders.